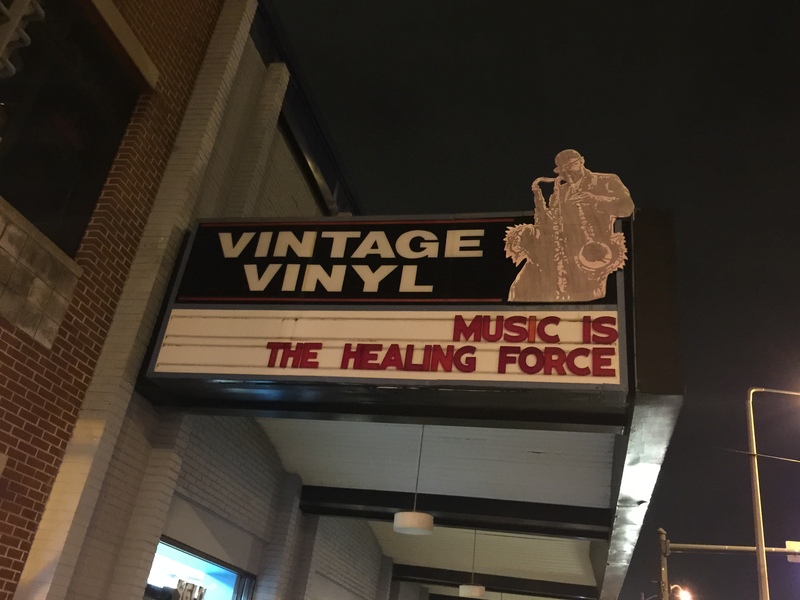 Get to Know Vintage Vinyl in St. Louis, Mo. When St. Louisans think about buying records, they head first to Vintage Vinyl. For more than 30 years, the store has operated out of a storefront on historic Delmar Ave., in the artsy U City Loop district just outside of downtown (and very near one of the country’s largest urban parks, Forest Park). Its recognizable marquee highlights area musicians, cool quotes, and other random awesomeness. The rougly1,000 sq. foot shop sells primarily vinyl, along with CDs, DVDs, posters, and more. There are some new vinyl offerings, but mostly there are rows and rows of resell finds. Underneath the shelves of premium LPs are bins of $.99 records, which one can peruse while sitting on a milk crate. I’ve spent many hours hunched over these boxes, and have found a few gems among the scratched-up junk. 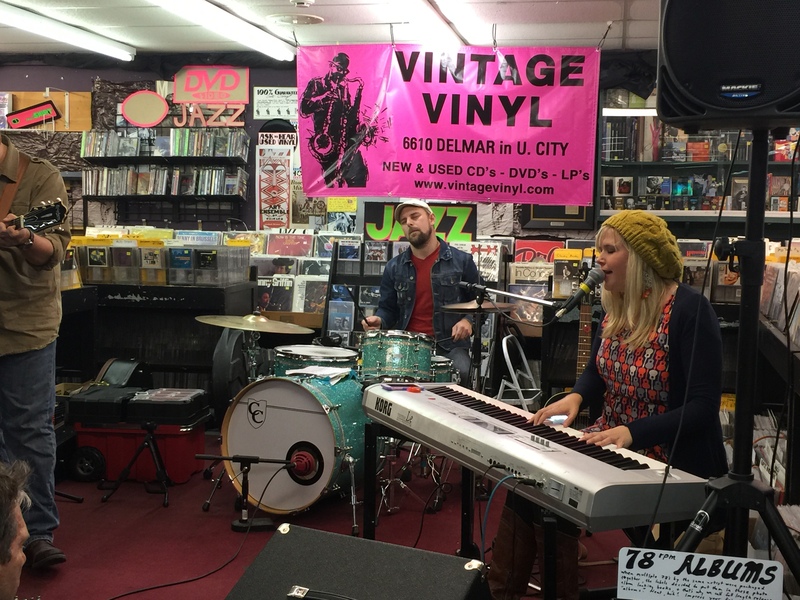 Last weekend, my boyfriend and I hit the historic record shop for an in-store performance. Vintage Vinyl offers live music fairly regularly on weekends, but neither of us had ever been to one of these free shows. We decided to first go to a local happy hour (the drink specials at nearly Three Kings are definitely worthwhile) before spending an hour shopping at Vintage Vinyl and then hearing Hilary Scott (below). Neither of us had even heard of her, but free music and free Schlafly beer was too good to pass up. We really loved Hilary. She’s a singer-songwriter who has a bluesy-indie sound that is radio ready. She recorded her first EP, “Flowers on Mars,” only on vinyl (red vinyl, in fact). That’s pretty damn cool, so I had to buy it. Her new record, “Freight Train Love,” came out about a month ago. With only about 30 people attending the free performance, I was able to introduce myself to Hilary after the show and—hooray!—learned she loves to cook. I hope to soon feature her in the kitchen in more depth on this blog. I left Vintage Vinyl with a great industry contact, a bit of a buzz from the Schlafly Hefeweizen, and about $100 worth of new and used records (Ingrid Michaelson, Black Keys and the Beach Boys were among the mix). This store is no frills, i.e. a little dirty, but it’s reasonably priced and has plenty of bells and whistles that make it a real gem. 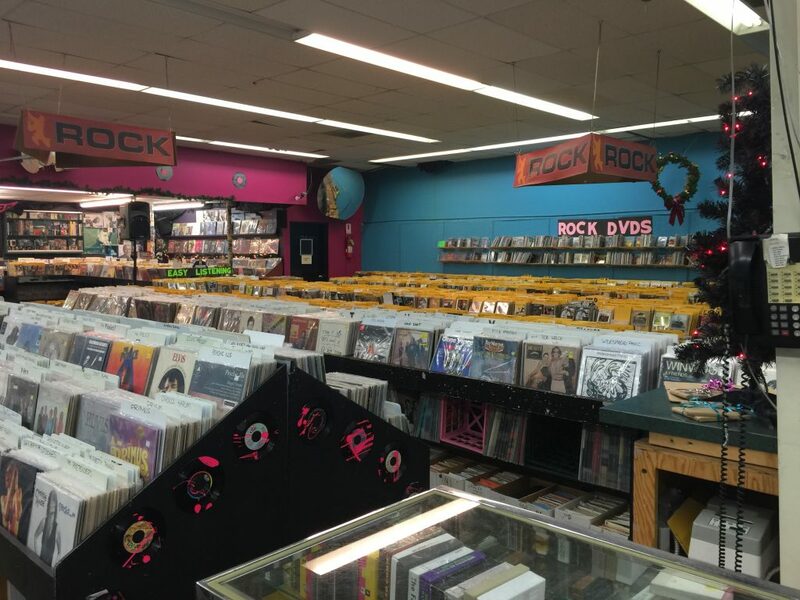 If you love vinyl—or music, for that matter—and have some time to kill in St. Louis, plan on browsing the aisles for an hour or two. If you’re in St Louis don’t miss Euclid Records, one of the best stores in the country. Agreed, Mike. I need to do a write up on them soon. Thanks for reading!